Emily Bowlin, daughter of Kim Larsen, is the recipient of an American Legion Scholarship. She plans to study dance and business at the University of Wisconsin in Milwaukee. Devon Brent, son of Alan Brent, is the recipient of a Pewaukee Alumni Association Scholarship. Devon plans to attend UW-LaCrosse to study marketing. Kali Bruhnke, daughter of Bernd and Kathrin Bruhnke, has been selected to receive a Pewaukee Scholarship Fund award. Kali will be studying architecture at the University of Minnesota – Twin Cities. Benjamin Caccese, son of Leonard and Elizabeth Caccese, is the recipient of the Pewaukee Rotary Club Scholarship. Ben plans to study electrical engineering at UW-Platteville. Brittney Duewell, daughter of Pamela Duewell, has been selected to receive the M. Van Hulle Honorary PSF award. She plans to major in pharmacology at Corcordia University in Mequon. 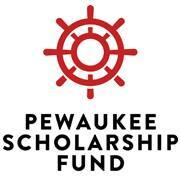 Mary Dunne, daughter of Maureen Dunne, has been chosen to receive a Pewaukee Scholarship Fund award. Mary will be majoring in journalism at St. Norbert’s College in De Pere, Wisconsin. Andrew Farrow, son of Paul and Amy Farrow, has been selected to receive the John Tall Memorial Scholarship. Andrew will be studying composite engineering at Winona State University in Minnesota. Catherine Geanon, daughter of George and Alison Geanon, is the recipient of a Pewaukee Scholarship Fund award. She plans to study psychology at Butler University in Indiana in hopes of pursuing a career in psychiatry. Adam Geipel, son of Jerry and Sue Geipel, has been chosen to receive a Pewaukee Scholarship Fund award. He will be in the pre-med program at UW-LaCrosse, majoring in biology. Kate Hartzler, daughter of Dennis and Daren Hartzler, is the recipient of a Pewaukee Scholarship Fund award. Kate plans to double major in biology and chemistry at UW-Madison in preparation for veterinary school. Reece Hass, son of David and Jeanne Hass, is the recipient of a Pewaukee Kiwanis Club Scholarship. Reece will be majoring in biology or chemistry at the University of Minnesota, Twin Cities. Cheryl He, daughter of Guangping He and Hsinju Su, has been awarded the Joseph Ryan Memorial Scholarship. Cheryl will study pre-med at UW-Madison to begin preparing for a medical career in neurosurgery. Rebecca Heinen, daughter of John and Mary Heinen, has been chosen as the recipient of a Pewaukee Scholarship Fund award. Rebecca plans to major in engineering at Marquette University. James Howard, son of Vicki Howard, is the recipient of the Stanek Tools Scholarship. James will major in chemical engineering at the University of Wisconsin at Madison. Nikolas Janik, son of Joseph Janik and Danette Bugs-Janik, has been awarded a Quad Graphics Scholarship. He plans to major in information technology at Carroll University. Rebecca Johnson, daughter of Rick and Julie Johnson, is the recipient of the Allen Anderson Memorial Scholarship. She will be studying journalism at the University of Missouri. Kristine Kammers, daughter of Brian and Sue Kammers, is the recipient of the Margaret Schallitz Memorial Scholarship. Kristine has not decided what her major will be. She plans to attend UW-Madison in the fall. Kaitlin Kapitan, daughter of David and Fonda Kapitan, has been chosen to receive a Pewaukee Kiwanis Club Scholarship. Kaitlin has not declared her major yet. She plans to attend Marquette University this coming fall. Riley Kirchoff, daughter of Heidi Kirchoff, is the recipient of a Pewaukee Scholarship Fund award. She plans to major in art, with an emphasis on Graphic Design, at UW-Whitewater. Jillian Kozlik, daughter of Scott and Dawn Kozlik, has been awarded a Pewaukee Kiwanis Club Scholarship. Jillian will pursue a pre-dental major at Marquette University. Hannah Maas, daughter of Duane and Kay Maas, has been chosen to receive a Pewaukee Scholarship Fund award. She plans to study engineering at UW-Madison. Emily Nelson, daughter of James and Michele Nelson, is the recipient of the Hans Wienss Memorial Scholarship. Emily plans to major in pre-physical therapy and then get a degree in physical therapy. She will attend the University of Minnesota – Twin Cities. Sarah Olewinski, daughter of Randy and Barb Olewinski, has been chosen to receive a Waterstone Bank Scholarhip. Sarah plans to pursue a communications degree at St. Norbert’s College in De Pere, Wisconsin. Rebecca Parmley, granddaughter of Ron Hillen, is the recipient of the Pewaukee Board of Education Scholarship. Becca plans to major in criminal justice. She plans to attend the Law Enforcement Program at Waukesha County Technical College. Daniel Richard, son of Dean Richard and Margaret McGinn, is the recipient of the the Gene Edgette Memorial Scholarship. He plans to major in computer sciences at UW-Madison. Grey Satterfield, son of Grey and Patty Satterfield, has been chosen to receive a Waterstone Bank Scholarship. Grey plans to major in marketing or political science at UW-Madison. Connor Sefcik, son of Mark and Darcy Sefcik, is the recipient of a Pewaukee Alumni Association Scholarship. Connor plans to study engineering at Brigham Young University in Utah. Grayson Sewell, son of Steve Jensen and Kathy Sewell-Jensen, has been awarded the Pewaukee School District Admistrators’ Scholarship. Grayson plans to major in high school education at the University of Nebraska, in Lincoln, Nebraska or UW-LaCrosse. Suzanne Shuda, daughter of Patrick Shuda and Gail DeVeau, is the recipient of a Pewaukee Scholarship Fund award. She plans to major in physics at Florida Institute of Technology in Melbourne, Florida. Cindy Starich, daughter of Michael Starich, is the recipient of the Pewaukee Education Association Scholarship and a PSF Scholarship. She will be majoring in music education at Carroll University. Elizabeth Stempel, daughter of Mark and Linda Stempel, has been chosen to receive a Pewaukee Alumni Association Scholarship. Elizabeth plans to attend UW-Whitewater where she will study speech-language pathology and Spanish. Jacquelyn Tarrence, daughter of Kathleen Thomas, is the recipient of an American Legion Scholarship. She will study design at UW-Stout in Menominee, Wisconsin. James Taylor, son of James and Susan Taylor, has been chosen to receive a Pewaukee Scholarship Fund award. James plans to study business at UW-Whitewater. Lauren Wysocki, daughter of Paul and Sandy Wysocki, is the recipient of the Dorothy M. Brouwer Memorial Scholarship. Lauren plans to major in biology and go on to pre-med, with the goal of becoming a surgeon. She will be studying at the University of Minnesota – Twin Cities.